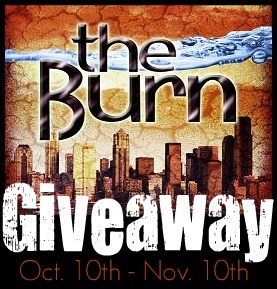 I'm super excited to announce that we are hosting our very first giveaway! What do you win, you ask? 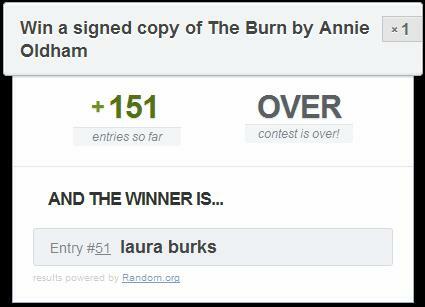 You could win a signed paperback copy of The Burn by Annie Oldham! The contest will last from October 10th - November 10th. 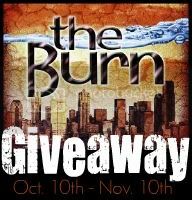 You have a whole month to enter and tell your friends about this giveaway! The winner will be announced on November 11th. A special thank you to Annie Oldham for making this possible. 4. Follow Annie Oldham on Twitter. Great giveaway. Love your blog!! Excellent giveaway and congratulations on it being your first!